This month, The Weekend Gourmet Dines Out is featuring a yummy new addition to San Antonio's growing dining scene. 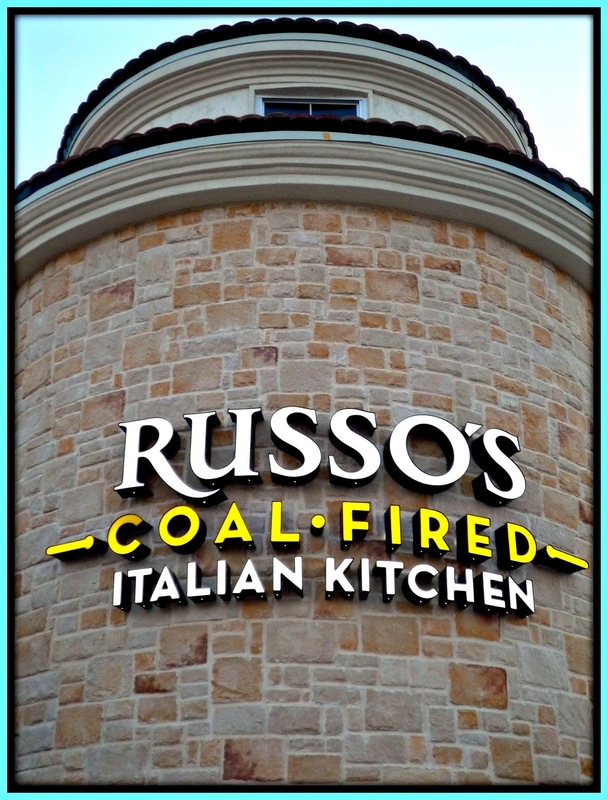 Russo's Coal-Fired Italian Kitchen opened at The Rim this Summer, near the Palladium movie theater. Russo's offers a wide range of creative pizzas, pasta, and wood-fired entrees. 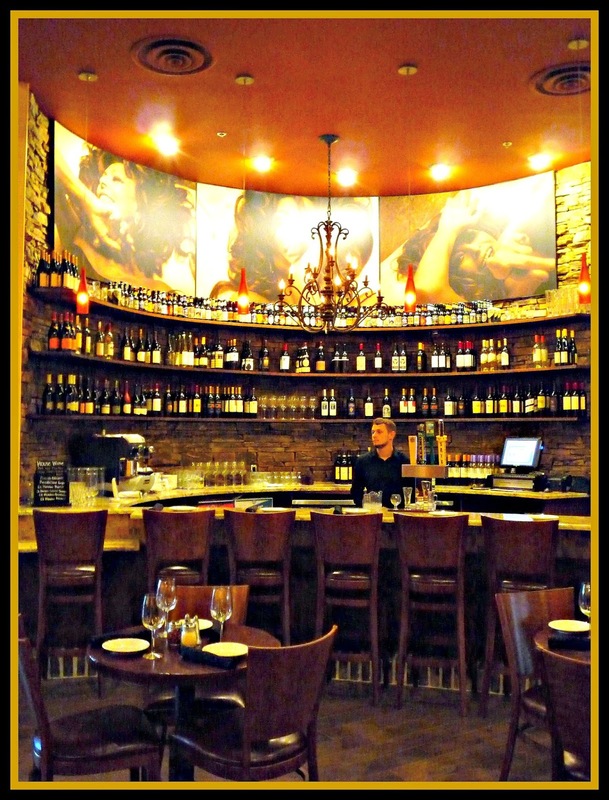 Michael and I recently visited Russo's for a dinner tasting of some of their signature menu items, and we were impressed with both the quality of the food and the relaxed atmosphere. We entered the restaurant and were warmly greeted by the staff. As we made it to our seat, we admired the natural light in the dining room -- along with the fun decor. Our booth was seated right under a black-and-white picture of Michael Corleone from The Godfather. We ordered iced tea and looked over the menu. We started with a shared appetizer and a salad. The Prosciutto & Burrata appetizer featured a generous amount of prosciutto, olives, arugula, and house-made burrata. If you've never had burrata, it's a ball of fresh mozzarella with a creamy ricotta-like center. Add a drizzle of balsamic and some bread, and your meal is off to a perfect start. 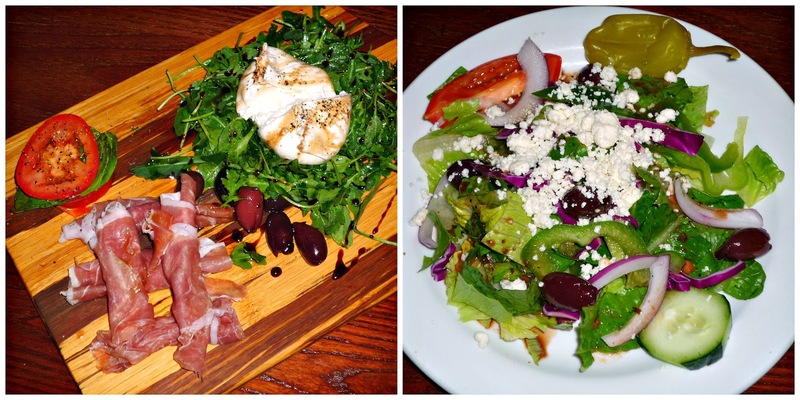 Our salad was a refreshing Greek salad with a house-made chianti balsamic vinaigrette. Our meal was off to a great start, and then our Pizza Two Ways came to the table! Although we love nothing better than a traditional pepperoni pizza, we decided to try two of Russo's gourmet pizza selections: Chicken Rustico and Chicken Pesto. 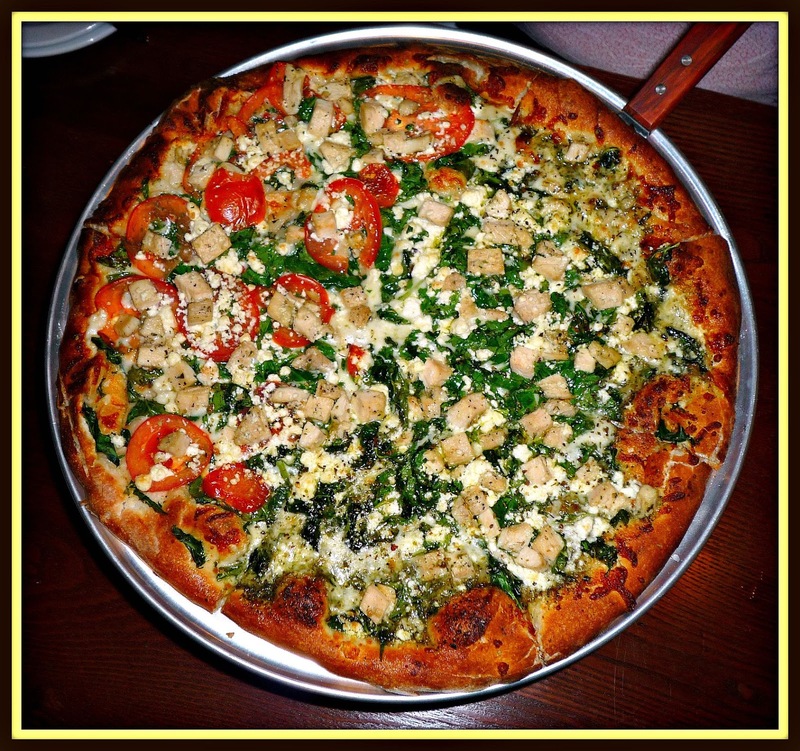 The Chicken Rustico featured tender chicken, Roma tomatoes, spinach, feta, mozzarella, garlic, and basil. It was a fresh spin on traditional pizza, and the salty pop of feta was especially nice. The Chicken Pesto featured herbal pesto sauce, mozzarella, feta, grilled chicken, and spinach. The flavor profiles were similar, with some subtle differences. The yummy crust was crunchy on the edges and chewy in the middle. Unlike other thin-crust pizzas we've had, this crust cooked up sturdy -- not flimsy and limp. 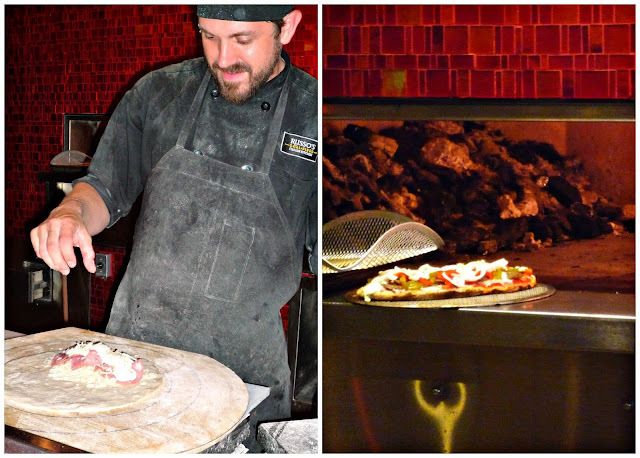 Each pizza is hand formed by a pizza chef who assembles them and cooks them in the Italian wood-fired grill. 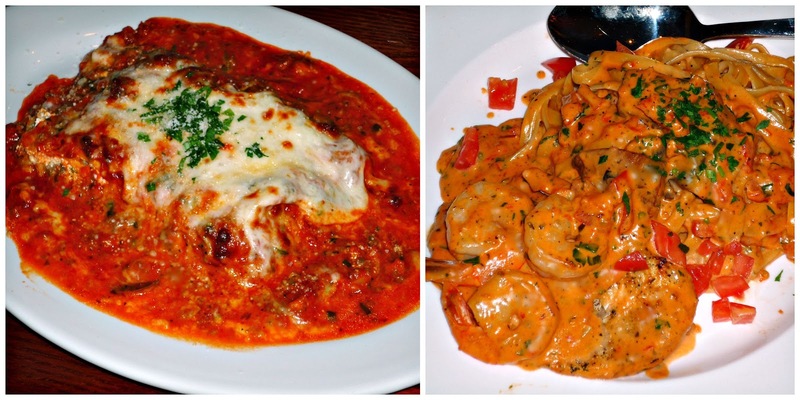 We also sampled a duo of Russo's wood-fired pasta dishes: house-made Lasagna and Pasta San Marco. The lasagna was really good, featuring a rich chianti-braised meat sauce, basil, ricotta, and lots of gooey mozzarella. This was true Italian comfort food -- perfect for sharing! The Pasta San Marco featured chicken, shrimp, portabella mushrooms, fresh Roma tomato. It was served over fettucini in a creamy vodka tomato sauce. This pasta dish was full of fun flavors and textures -- and the sauce was rich and deeply flavored. Each bite was a bit different, depending on whether there was chicken, shrimp -- or both -- on our forks! 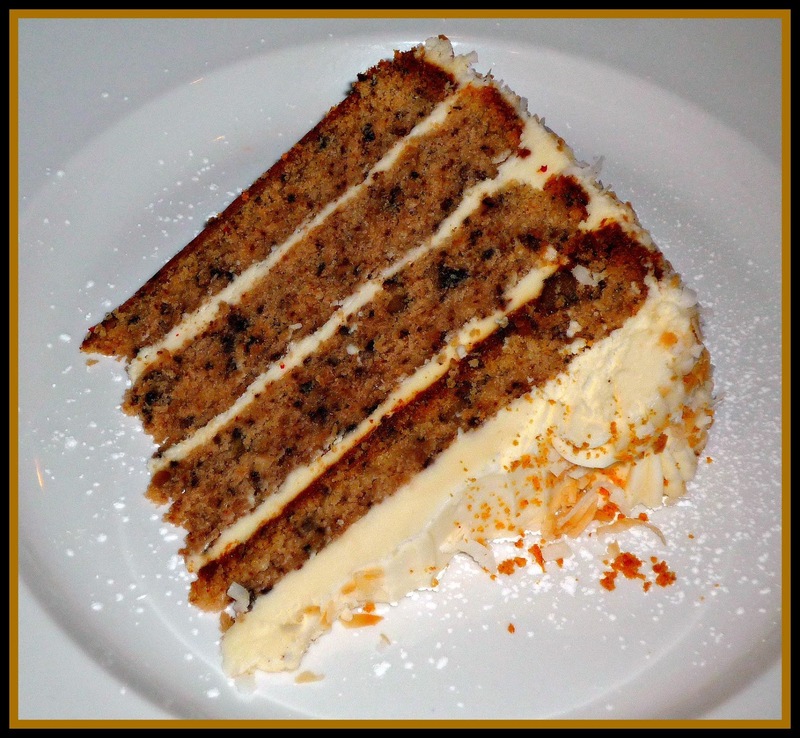 We were getting quite full by then, so we decided to share one of Russo's signature desserts: Italian Cream Cake. The house-made Italian Cream Cake was so good! It featured four layers of dense, moist cake flavored with pecans and coconut. Between each layer and on top of the cake was cream cheese icing. The cake was very rich, making it perfect for sharing with a cup of coffee. 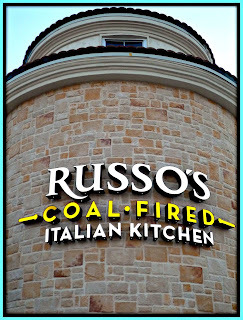 After our meal was finished, Michael and I agreed that Russo's Coal-Fired Italian Kitchen is a very welcome addition to the San Antonio dining scene. The food is delicious, the portions are plentiful, and the decor is casually elegant. 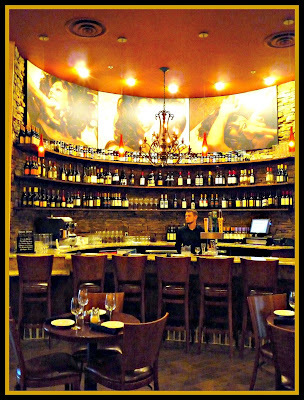 On our way back to our car, we stopped to admire the elegant Sophia Loren-inspired bar area near the restaurant's entrance. If you find yourself hungry before or after catching a movie at the Palladium, Russo's is perfectly located for that. If you're a fan of authentic Italian food and wood-fired pizza, Russo's is perfect for that too! Disclosure: Russo's Coal-Fired Italian Kitchen provided us with a complimentary dinner tasting to facilitate this feature. All opinions expressed are solely my own, and all photographs are copyrighted by Michael K. Garcia. They may not be copied or otherwise used without prior permission.